The group have offered up first looks at performances of their 1983 hit “Lick It Up” and their 1976 classic “Shout It Out Loud” from The Joint inside the Hard Rock Hotel & Casino as part of a 9-date run at the venue. “KISS Rocks Vegas” promises to deliver an expanded version of their live set rounded out with exclusive interviews and footage available exclusively in theaters. 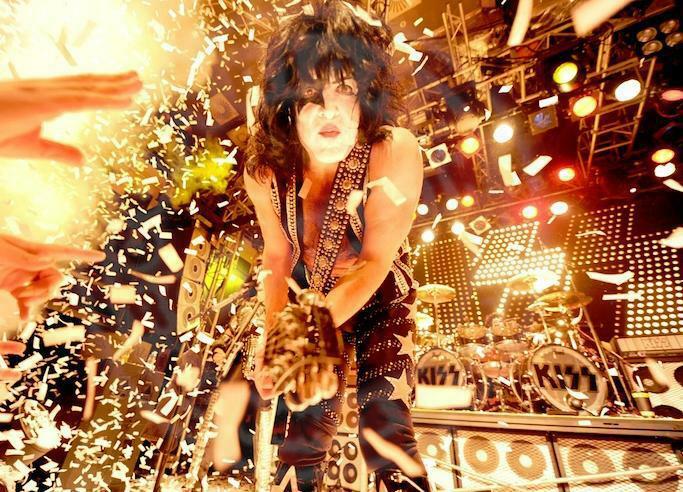 "See us on the big screen with the awesome power of surround sound,” says Paul Stanley. “Feel like you are in Vegas and don't be shy to 'shout it out loud!" A select number of cinemas will also be screening the concert in Dolby Atmos, providing a powerfully immersive and moving audio experience for the cinema audience. KISS will return to live action with their classic rock shows on the Freedom To Rock tour across the US, which starts in Boise, ID on July 7.